Updated Technology Development Limited (DBA ANYdigitizing) is located in Hong Kong, offering quality embroidery digitizing service for over 20 years. For now, we also handle vector artwork conversion, caps, patches, headband, label, bracelet and bags, some other customerized gifts etc, we have sister factories have run the digitizing service business for years. ANYdigitizing employs a lot of highly skilled professional digitizers, art designers, machine operators who have been involved in the embroidery digitizing field for years, have accumulated all techniques. 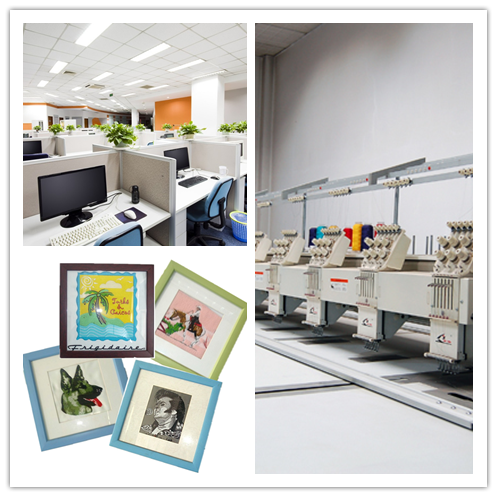 They are creative and passionate to provide the most exquisite embroidery products for every customer. Every logo from ANYdigitizing are tested by several times, the completed logos are sewn out before delivery. What we want to do is to make sure a 100% customer's satisfaction. Our fast turnaround and 7*24 hours operation means you will be able to rely on our services during all your emergencies. Anytime you need help, ANYdigitizing is here! Anywhere---No matter where you are. Anytime ---No matter what time it is. Any design---No matter what kind of project need. Any demand---No matter what demand you request. Any way---No matter what kind of way you choose to contact. ANYdigitizing would like to thank you for your interest. We appreciate the opportunity to serve you and your customers.